FooR are a UK collective of producers, musicians, DJs, and MCs at the forefront of the current UK Garage revival. Championed by the likes of Radio 1’s MistaJam and DJ Target, they’ve so far released a handful of singles (including ‘Down’ feat. Karen Harding), and remixed the likes of Wretch32, Tinchy Stryder, Ghetts, and beyond. 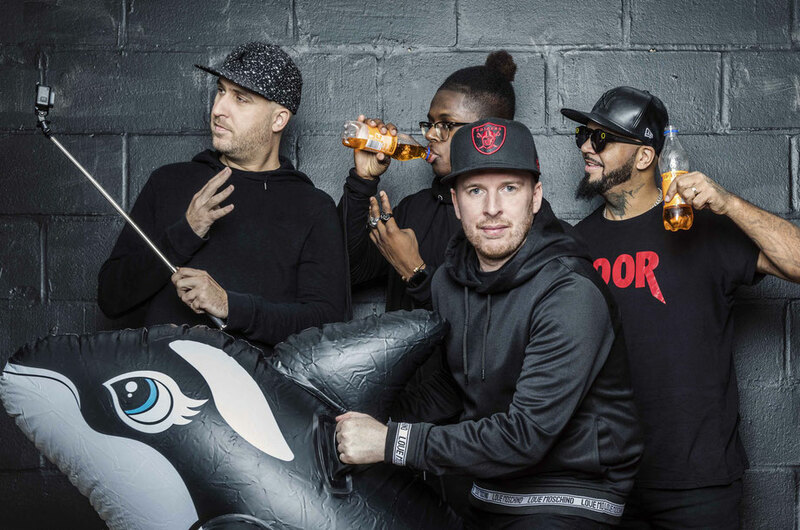 The four-piece have also apparently become UK Garage’s fastest rising stars on the live circuit, with shows including Isle Of Wight Festival, EDC, Boardmasters, Ministry of Sound, and Mutiny. ’Friends Of FooR’ is FooR’s first commercially available mixtape; following 2017’s Pure Garage mix album – their instalment of the genre’s series debuted at No.9 in the UK compilation charts. 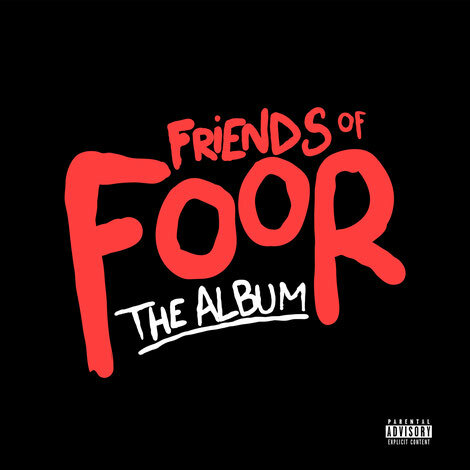 A hybrid of mixtape and artist album, ‘Friends Of FooR’ features all their own productions. There’s an array of UK vocal and production talent across the 18 track release, with names including Jaguar Skills, Lisa Maffia, Majestic, Bassboy, and more. It also contains their three forthcoming singles, ‘Premonition’, which features Eddie Craig from The Wideboys; ‘Hooligans’ (feat Evil B vs B Live); and ‘Rum Woman’ (feat. Bar Li). Included as one of two bonus tracks is their cover of Rozalla’s ‘Everybody’s Free’, which was recently selected by Holy Goof for his forthcoming ‘FABRICLIVE 97’ album. Hailing from Southampton, UK, FooR (fronted by Gavin Foord, Aki, MC Jukie & Tyrone) have all been friends for 15 years – literally since they were kids. Once they hit their teens they started making music together and then throwing parties, first locally, and then across the South Coast. Their biggest show to date was arguably at last summer’s Isle Of Wight festival, where they were asked to play in The Big Top between fellow Saturday night headliners, Example and Zara Larsson. But such is the current buzz around them, that they’re now travelling across the UK, and abroad, with gigs including London’s The Steelyard (with Matt Jam Lamont & Friends), Ministry of Sound, and The Nest, plus shows in Wales, the South Coast, Scotland, the Midlands, and two gigs in Amsterdam.